Spring is the season of love, joy, colors and happiness. As Vogue describes it, Spring is “Feel good fashion”. Translated, it means sequins, tassels, fringes, sheer layers and so much more. It is everywhere from party wear to basic staples – slip dresses, denim and even trench coats. Designers and fashion houses injected a hint of new to old successes, from which fresh patterns emerged. From the fashion trends of 2018, here are some looks to have on your radar. The colors of spring are out in a pile-up of pastel shades. Vogue calls them “Ice cream colors” and they range from lilac and lemon sorbet to layers of pistachio and duck’s egg blue. Do you think it’s hard to put together a pastel outfit? Surprisingly, it isn’t! It is very quick to put together and it’s hip. All you need to do is choose all the pastels that you have in your wardrobe and them stack them up like a colorful triple scoop of ice cream. These delicate colors are a bold fashion statement. 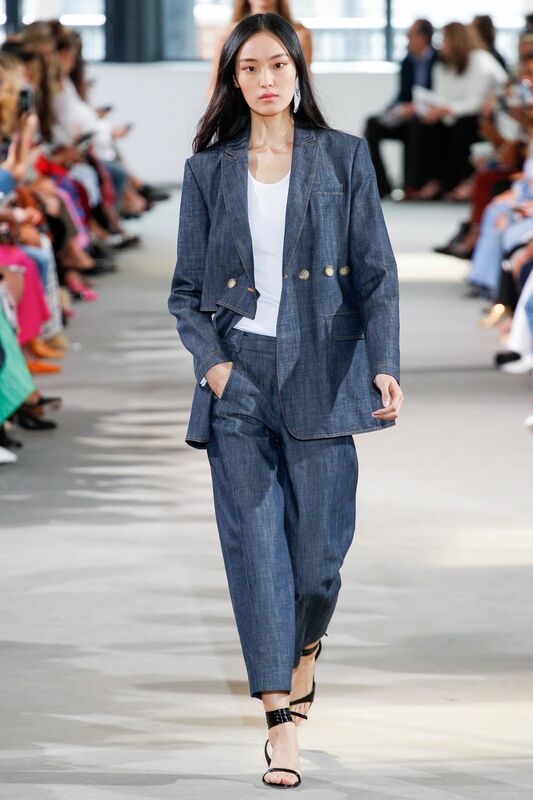 The dark tailored denims of the year 2000 are back in Spring 2018 and they look as good as ever. Going further back to the 80s, the high waist jeans paired with a tucked in loose top will look great this season. What’s Hot – High waist jeans paired with tucked in loose fitting top and white ankle length boots. 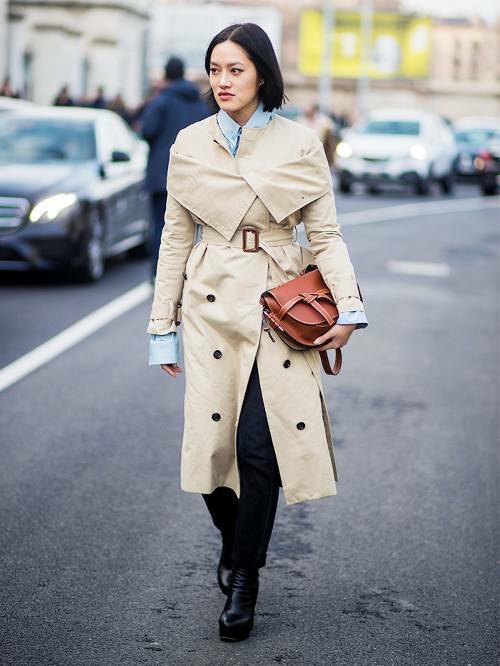 A trench coat could be seen on almost every runway. Vogue calls it the “Star of the shows”. Designers have taken the humble trench coat and updated it so that it can be paired with anything from boardroom suits to bikinis. This is one wardrobe basic that you cannot do without. It’s a staple and a lifetime keeper. What’s Hot – Balenciaga’s outfit with a trench at the front and denim overcoat at the back. If there is something worth investing in, it’s a trouser suit. Get a perfectly tailored suit – a style that matches your taste. There are hundreds of versions of the trouser suit, be it simple, subtle or bold. And what’s best about it is that it won’t date! What’s Hot – The hot pink blazer from the runways that has everybody’s attention. Tip – How to Wear a Trouser Suit – Suits are no longer boring corporate wear. You have a wider range of colors to choose from. Traditional greys and navy blues have given way to baby blues, sugary pinks and red. Yes, that’s right! Red. It’s the color of spring! This super easy to wear attire needs very little styling. Team it with cropped trousers, with pastels, mules, t-shirts or even trainers. This makes it more street style and less corporate. Or go with a single top to toe color scheme for a chic look. The past years have been the years of track pants and leggings. But no longer! Pencil skirts have made a comeback and this time, they are more flattering and long lined. They are back with leather finishes, street styling, and deconstructed silhouettes. It’s time to replace your full skirt midis with pencil skirts. 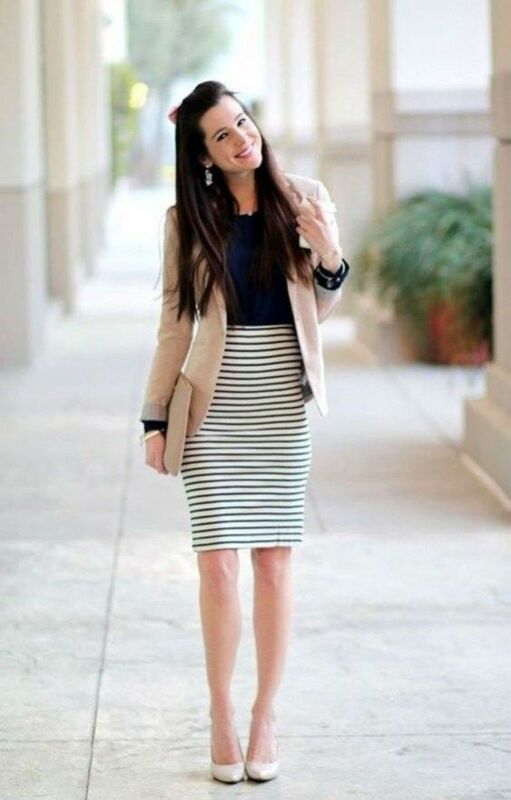 Tip – How to wear a Pencil Skirt – Although not the most comfortable of attires, they are an essential for working women. It is an essential and should be there right next to your shirts and tailored suits. Pair it with a matching jacket, sandals and socks for the professional look. Wear a checked pencil skirt teamed with tee, big coat and sneakers! Some more looks that you can try are feathers, large white shirt and ankle boots and split pencil skirt with fitting top. What’s Hot – Printed pencil skirt or a color that goes with everything. Accessorize your spring collection with spiky shoes, chunky sneakers, bum or belt bags, waist belts that make a statement, crystals, bling earrings, loud logos in your tees, bags and belts and a swimsuit in bright colors.